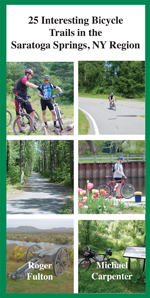 The St. Lawrence County Recreational Trails Advisory Board has been working for some time to create a sustainable community-linking system throughout the county. Last week, community members had their first look at maps of the trail route. Last Thursday evening, more than 100 people gathered in the Colton-Pierrepont Central School auditorium to learn more about the St. Lawrence County Multi-Use trail system and what it will mean for the community. The more-than-200-mile system is called “Blazing Trails,” and will extend from Franklin to Lewis Counties. The trail will be multi-season and multi-use, and open to snowmobilers, ATV users, mountain bikers, horseback riders, hikers, cyclers, cross country skiiers, dog sled users, and snowshoers. The committee hopes to extend the trails further with smaller trails diverging from the main tracks. County Trail Coordinator Deb Christy says the multi-use trail system will promote tourism in the North Country, benefitting local businesses that have struggled to remain open. Many ATV users attended the meeting, and most seemed in favor of the trail system as a whole. However, there was some dispute over how the motorized vehicle users and hiking and skiing enthusiasts would share the land and continue to enjoy their differing recreational activities. At the meeting, several community members expressed their unease about noise and fumes from the ATVs on the new trail, which prompted some ATV owners to grumble and walk out of the meeting. By the end of the summer, the first part of the trail is expected to open to the public in Colton, Pierrepont, Parishville, and Hopkinton, connecting St. Lawrence and other neighboring counties. Watch the video included in this article to see the beauty of the Thousand Islands. Lewis County’s Whetstone Gulf State Park features miles of snowshoeing trails, picnic areas, waterfalls, heated restrooms and opportunities for snowmobiling. The park also has a lookout tower. Snowshoe rentals are not available onsite. Hence, visitors should plan accordingly. Experienced snowshoers may want to consider exploring the 5.6 mile long Gorge Loop. It offers superlative views. The park’s vehicle entry fees and hours of operation vary. The Maple Ridge Snow Park is also located nearby. It’s a great place to go snow tubing with the family. St. Lawrence County’s Higley Flow State Park features more than 7 miles of snowshoeing trails, restrooms and picnic areas. Regrettably, there are no snowshoe rentals available onsite. Snowshoers may want to consider investigating the 2.57 mile long Warm Brook Trail and the 3.42 mile long Cedar Brook Trail. 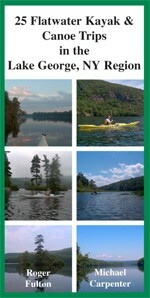 Park highlights include views of the Warm Brook Flow, the Higley Flow and the Raquette River. The park’s winter hours of operation and vehicle entry fees vary. Lodging and dining opportunities are located nearby in Potsdam. Jefferson County’s Wellesley Island State Park features more than 7 miles of snowshoeing trails, year round cabin rentals and an onsite nature center. 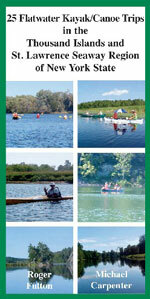 Bird watchers should consider exploring the Eel Bay Trail. It often offers opportunities to catch a glimpse of bald eagles. Other routes to consider investigating are the Narrows Trail and the South Bay Trail. The park traditionally opens at dawn. Visitors should plan on bringing their own snowshoes and sundries. Robert G. Wehle State Park is also located in Jefferson County. It features more than 10 miles of trails and picnic areas. Snowshoers may want to consider investigating the .64 mile long Bobo Link. It leads to the Henderson Shores State Unique Area. Other routes to consider exploring include the 1.87 mile long Dancing Gypsy Trail and the 4.90 mile long Snakefoot Trail. Both offer great scenery. While on the trails, snowshoers should make it a point to look for the remnants of military fortifications as well. Although the park tends to open daily, its hours of operation are variable. There are no snowshoe rentals available. Therefore, visitor should bring their own supplies. 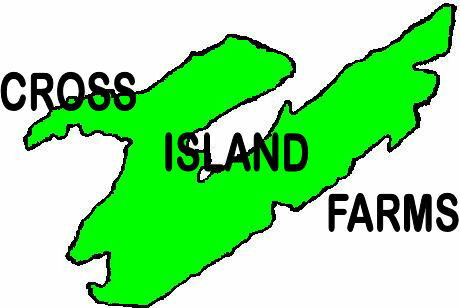 Cross Island Farms offers educational tours involving organic farming and sustainable living. Open year round, participants can see and interact with the animals of the farm such as: cows, pigs, goats, chickens, turkeys, and ducks. As well as getting to see the organic vegetable gardens, the windmill, and solar panels. Participants learn about the organic gardening methods used, rotational grazing, heritage breeds, natural brush control, renewable energy, and overall sustainable living. Primitive Camping is on a 102-acre organic farm, with views of woods, ponds, and pastures, and is open year round. Guests can walk; ski, or snowshoe ¼ to ½ mile to sites. (The policy is strictly carry-in, carryout.) Surrounding the sites are trails throughout the farm for walking, skiing or snowshoeing. $25.00/day weekends, Holidays and Holiday eves. bridge via a walking path next to the southbound driving lane. The bridge offers a breathtaking view of the St. Lawrence River from more than 100 feet in the air! Free parking available at the Welcome Center Parking Lot at the base of the bridge. They just ask that you be careful and enjoy the view. Click here for some photos from Scott Thomas.